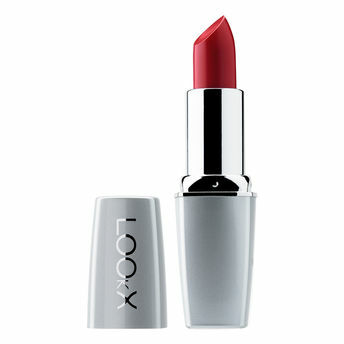 LOOkX Lipstick has a creamy formula combining 85% natural ingredients (e.g. Castor oil). The comfortable, caring and moisturizing formula ensures a long lasting, full coverage and polished look. LOOkX Lipstick Nr. 99 Rasberry Pearl is a raspberry colored lipstick with a shiny finish for an optical volumizing effect. Explore the entire range of Lipstick available on Nykaa. Shop more LOOkX products here.You can browse through the complete world of LOOkX Lipstick .Alternatively, you can also find many more products from the LOOkX Lipstick range.